A tree plantation is a plot of land with trees planted on it either by hand or with machine. The size of the land on which the plantation stands may differ from country to country, ranging from a minimum of one acre in the United States up to any limits depending on the availability of land for the project. 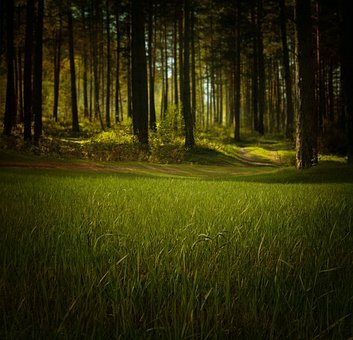 It must be noted that if the land was previously a natural forest before it was destroyed, then the planting of trees there would be called reforestation. On the other hand if there was no previous natural forest but the place was just consciously forested then it would be referred to as afforestation. One of the reasons why a tree plantation is important is because it supports human and animal life with oxygen. No human or animal can survive for a day without oxygen. Artificial oxygen, produced in the laboratory cannot be easily paid for by humans. Trees produce this expensive gas naturally and make it available to humanity. As humans brief in oxygen, they brief out carbon dioxide. This carbon dioxide needs not stay in the atmosphere for too long, it has to be absorbed. As the trees are producing oxygen for human use, they in turn absorb carbon dioxide. Apart from humans producing carbon dioxide by briefing it out during respiration, other human activities also shoot carbon dioxide into the atmosphere. The result of the human activities creates surplus carbon dioxide in the atmosphere and creates a greenhouse effect. By acting as a ‘carbon sink’, the trees absorb part of the excess carbon dioxide from the atmosphere. It is estimated that one mature tree can absorb 48 pounds of carbon dioxide from the atmosphere in a single year. Tree plantations are also essential because they provide people with a regular supply of fuel wood to cook their food and sometimes to warm their rooms and compounds. Especially, tree plantations are set up by commercial interests to provide raw materials for the timber industry. Timber is needed in the construction industry and much of the natural rain forest continues to be depleted so an important alternative is to grow the trees deliberately to provide the fuel wood and timber in a more sustainable manner. When leaves from the trees fall to the ground, they decay and transfer important nutrients which are useful into the soil. The process of releasing these important nutrients into the soil helps in the conservation of the soil. In other words, the leaves increase the soil organic matter. In addition, the canopy offered by trees prevent the direct rays of the sun from heating the ground and evaporating the water that is collected in the soil. This also helps to conserve the soil. Fruit bearing trees are important for humans. 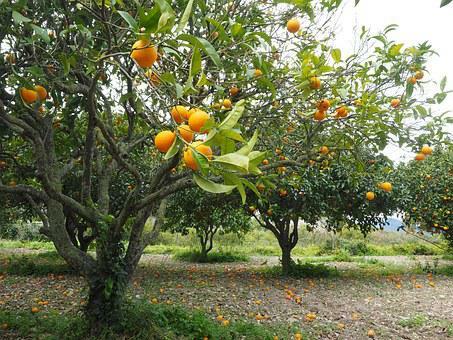 Some of these trees provide oranges, apples, avocados, pears and many more. Fruits that are harvested from these trees are sold in the markets and shops to provide a source of income for plantation owners. Apart from providing fruits for humans, birds and other kings of animals get food from the fruits produced by the tree plantations. When rain falls and gathers, it has to naturally runoff. The presence of tree plantations slows down the speed at which the water runs. This way the tree impede the rate at which erosion occurs in many places. 1. a. What is a tree plantation? b. In which six ways are trees important to humanity?